The importance of the environment and public access to the countryside has once again not been recognised by our Government, and this time also by the Nationalist Party. 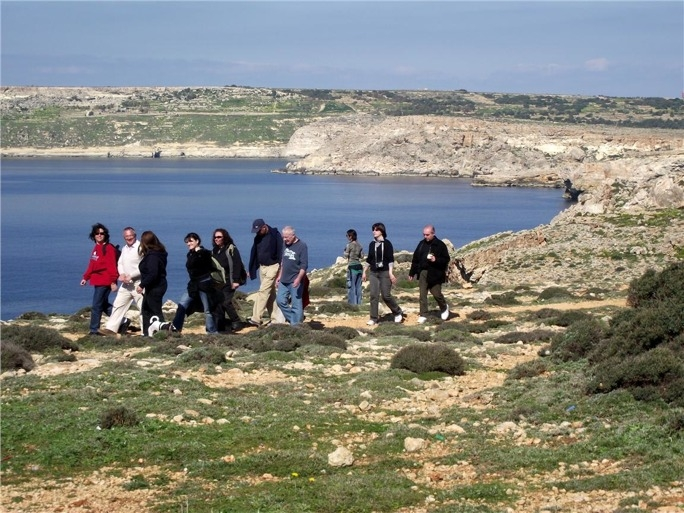 A motion by Godfrey Farrugia and Marlene Farrugia asked for the legal notice extending hunting to 12.30pm from 10am, to be withdrawn. Representations made by the park managers, including Din L-Art Helwa as well as the Majjistral Park Board composed of Government representatives, the Mellieha Local Council and the park managers advising against this extension, were ignored by the Government, and also it seems by the Opposition. The reasons put forward, that access to the national park by the public, including by children during school outings, is not compatible with hunting for safety and other reasons were not accepted. The original compromise to allow hunting to 9am, later extended to 10am was accepted by the park board, as before that time there would be few visitors and no school outings. Furthermore the hunters have two reserves nearby, at l-Ahrax and at Mizieb. Clearly the Government and Opposition (united on this rarest of occasions) felt that a special interest group such as hunters, should have access to the park to the exclusion of the public during the open season. This makes a mockery of the concept of a National Park open to all, something clearly not understood by our legislators. It is yet another blow to our increasingly besieged natural environment and shows that our parliamentarians are not prepared to show any leadership or empathy with protecting our natural heritage but would rather give into to the demands of a specific lobby group to protect their interests. Reacting to the Environment Ministries new committee being set up to launch the process towards cleaner electric vehicle transport, the local cycling commuting group Bicycle Advocacy Group is calling for a similar independent committee to explore ways of encouraging bicycle commuting. Even in 2010, according to official statistics there were ten times as many bicycles as there are electric cars today. With cycling rising by 20% every year, there are now far more bicycles being used each day in 2017. This is reducing Malta’s transport emissions and more importantly, fines that Maltese tax payers and drivers will eventually fork out. But very little is being done to help cycling commuters and the group are calling for a similar task force to exploit the fact that bicycles are a low cost, low hanging fruit. Cycling is a quick win-win scenario for all ministries and one that has been overlooked in recent changes to our road layouts. Yet cycling is by far the most successful in terms of cost effectiveness and modal shift emissions reduction, the group said. Therefore it felt that the Environment minister Jose Herrera should seriously consider setting up a similar task for just for bicycles. Bikes benefit everyone. Once the most serious allegations which had been made by blogger Daphne Caruana Galizia against the Prime Minister and his wife Michelle, Konrad Mizzi and Keith Schembri among others, are already being investigated by different magistrates. Except the allegations she had made against the present leader of the PN, Dr Adrian Delia. Had Dr Chris Said’s motion, asking that all Daphne’s allegations be investigated by “three retired judges”, been approved by parliament, this would have meant that our highest institution would have passed a motion of no-confidence in the magistrates presently investigating the most serious allegations made by the callously murdered blogger! It is very difficult if not impossible, to interpret John Guillaumier’s wild and weird fantasies but from what he wrote, he implicitly and unwillingly admitted that Jesus really dwelt among us, a fact he vehemently denied at least up to April 2013. May I remind him that in those days, his extremely fertile imagination could only perhaps envisage the possibility that Jesus existed in the same way that King Arthur or Robin Hood may have existed as real people on whom many stories were later written. As such, no proof existed of Jesus’ existence, never mind that he was a God-man. At that time he also wrote whatever the church taught was Christian mythology. In reality, ever since, the Jesus movement became the world’s largest religion and still growing in spite of unprecedented persecution. What is paramount and crucial for a believer is the fact that Jesus existed. How his birth occurred makes no difference, just as it is not important how one dies but rather how one lives to acquire the master key to eternal bliss. Guillaumier goes to great lengths digging out spurious letters to put our beliefs into a bad light but that puts us all the more on our guard against the forces of evil and deceit, which surround us.